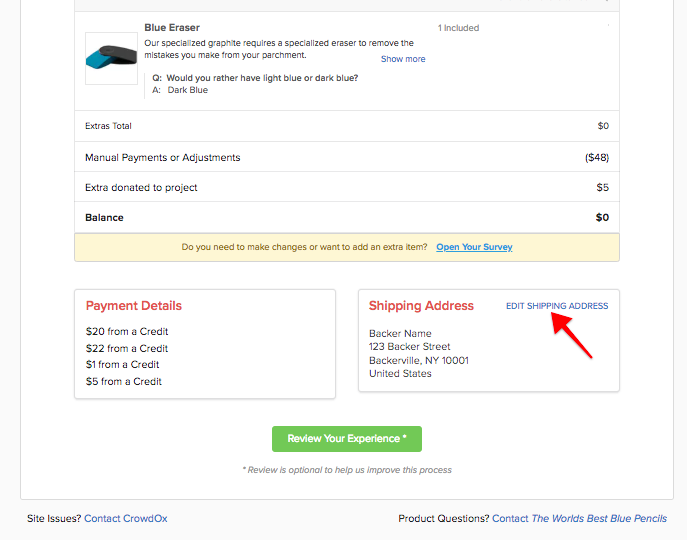 Crowd Ox Help Docs - How do Backers Change their Address after Completing the Survey? All Categories ​>​ Customer Management ​>​ How do Backers Change their Address after Completing the Survey? If a backer needs to change their shipping address after completing their survey, they can do this from their survey link. When a survey is already completed, the survey link will open to the backer's order summary. 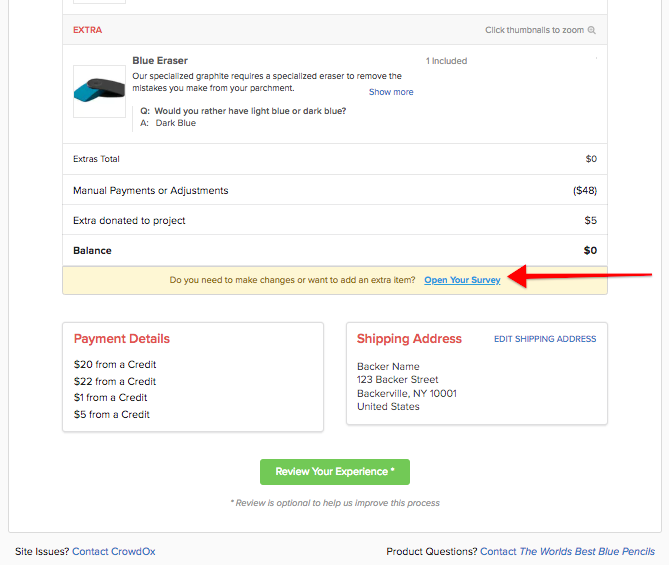 The existing shipping address is found in the bottom right corner of the order summary. 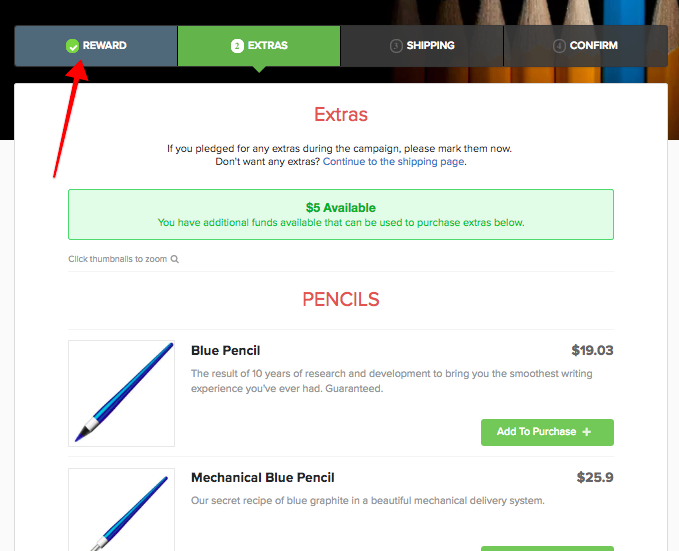 Clicking the 'Edit Shipping Address' will allow backers to edit their address. Due to the potential change in shipping costs, the backer must reopen their survey in order to change their shipping country. The backer can reopen their survey through their survey link. A blue 'Open Your Survey' link is found at the bottom of their order summary. The backer will need to click on the 'Reward' menu option at the top of the survey and go through the survey again. They can change their country after initially confirming their reward level. The backer can then update their address in the shipping section while going through the survey again. If the change to your shipping country caused the shipping cost to increase, the backer will see a balance due on the final page of the survey. They will be prompted to issue payment for the difference in shipping, in order to complete survey. If the backer has a credit balance (meaning the shipping cost went down) when completing the survey, the system will acknowledge that the backer has elected to leave the credit balance as a donation to the project. Depending on your policy, if the shipping was paid through the survey with a credit card or PayPal, you can issue a partial refund for the credit balance (click here for more info on refunding).